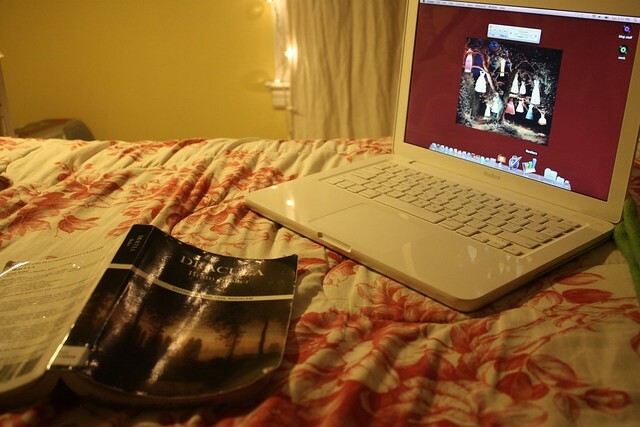 It gets dark out so early now, and all I want to do is curl up with my book. I'm reading Dracula still, its quite scary. There's a candle burning and my room smells like warm spices. This weekend I had breakfast in Brooklyn with my friends and walked around in the sunshine. Saturday afternoon I went to a beer expo and got to sample almost one hundred kinds of beer! Then it was off to the bar and a long night of talking and drinking. Today I was so lazy and took a slow ride along the beach with my bike and then have been lying around reading ever since. I should bring my camera out more often so I can show you these things. During the week I got a new purse and my camera fits perfectly inside of it, so now I can share the adventures. Now its time for a movie, homemade pizza made on the barbeque, and some delicious craft brewed beer. 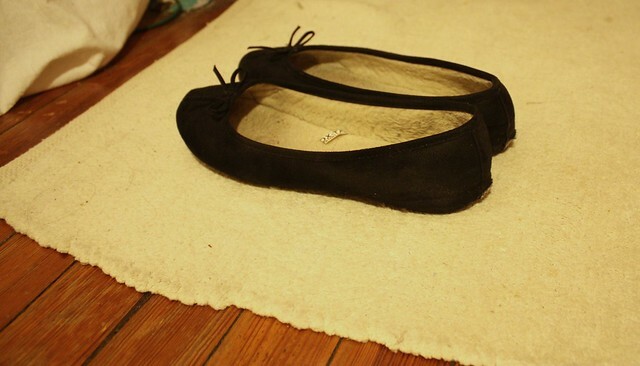 Made a thousand times better in fleecy-fuzzy ballet slippers. Have a cozy night! I love your room! I would say it definitely fits you. Ooo your room looks so comfy. What is your computer wallpaper of? I can't tell. Beer expo sounds dope. I loveee the lights on your curtains, so romantic! Sounds like such a nice weekend. The beer expo sounds pretty cool as well. I don't even think I could think up a hundred different types of beer! I need to get some fuzzy slippers like that, they look like such a treat to wear! I feel exactly the same... a nice book (preferably featuring vampires) and some cosiness is all I want right now. Will put Dracula on my to-read list! oh Kallie I haven't talked to you in ages!! how are you?